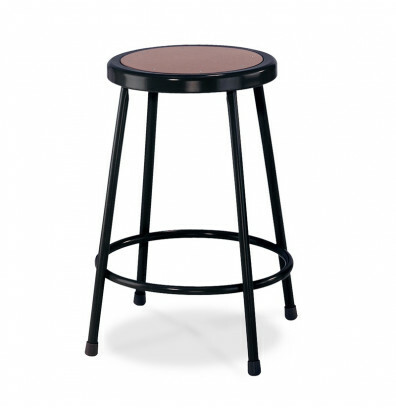 National Public Seating 6224 24" science lab stool features a chip and crack proof masonite board seat. Heavy-duty 18 gauge steel tube frame. Welded footrest provides added support. Sturdy 4-leg base with non-marring polypropylene glides. Available in multiple colors. Everything was perfect--the best price/shipping cost, helpful service reps, quick processing. 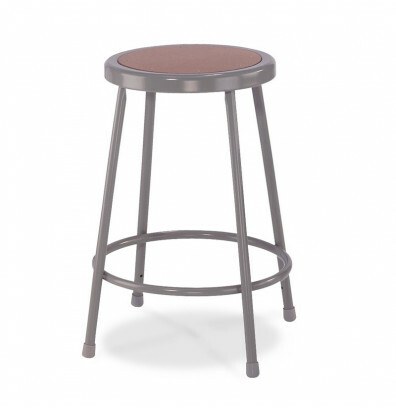 Unfortunately, we chose DigitalBuyer because the black version of this stool was available here--and they sent us the grey ones anyway. I re-checked my packing slip, order, etc to be sure the mistake was not my own. I'm positive DigitalBuyer would have rectified this if I'd notified them, but I live in the city and didn't want to mess with renting a car to get these back to a UPS facility for returns. I'll just live with the grey ones! They're still great quality.